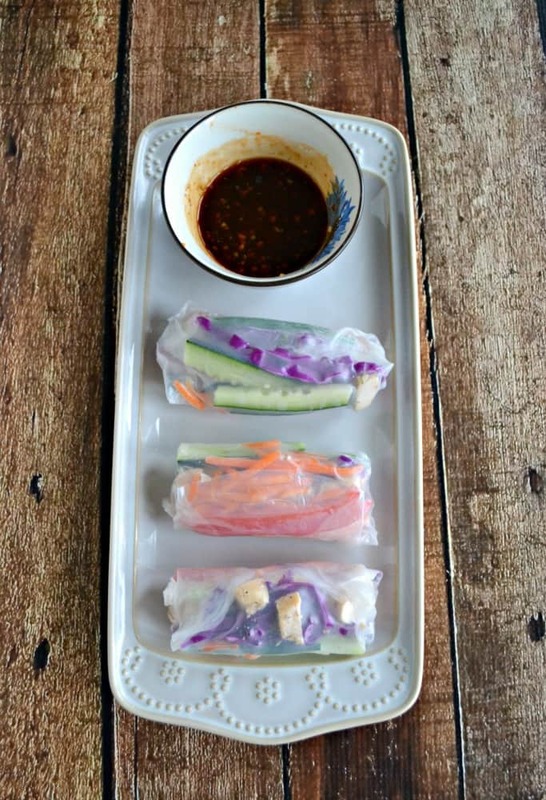 A few weeks ago I made fresh vegetable rainbow rolls with a package of rice paper. I still had half the package left so when we decided to have an Asian meal for dinner I went looking for the remaining sheets of rice paper. I didn’t want to make the same rolls as I did last time because I thought they would be better with some meat in them this time. I debated between pork and chicken as I thought either one would go well with the vegetables inside the roll but in the end chicken won out. Chicken almost always wins out if I’m in charge of cooking. So I started looking through the refrigerator and gathering up a variety of fresh vegetables to go in the roll. The great thing about these rolls is that you can put in any vegetable you have in the refrigerator. Firmer vegetables are better but in general most vegetables can be used. I picked some of my favorites and made sure they were in a variety of colors. Then I made the rolls. 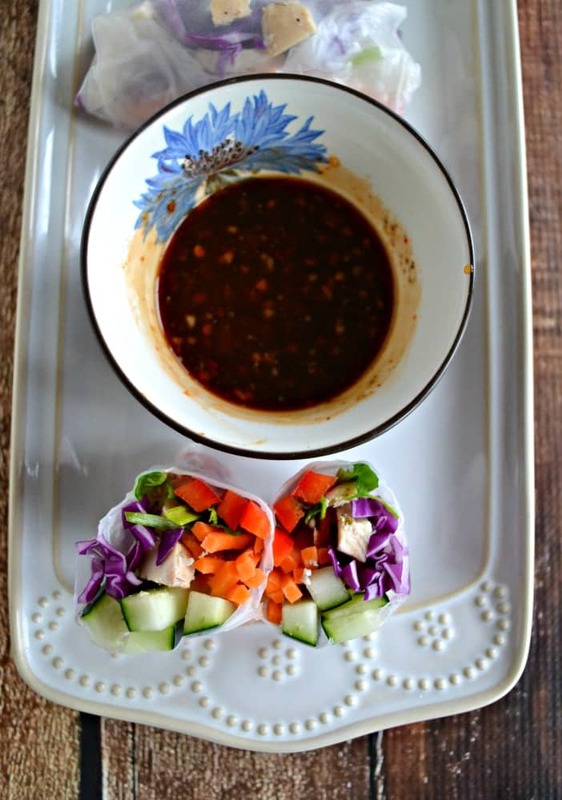 While the rolls were chilling in the refrigerator I started thinking of a dipping sauce. 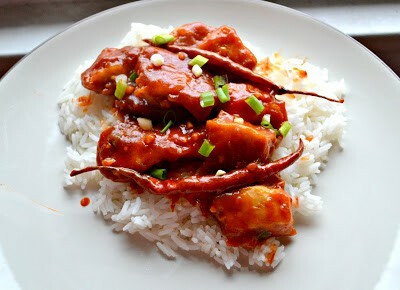 I love sweet and sour with chicken and with that idea in mind I came up with a sweet and spicy dipping sauce that would work well with the chicken. I placed the rolls on a long platter with the sauce at the end. They looked so pretty on the platter with all the bright colors showing through. The sweet and hot sauce was awesome with the rolls. 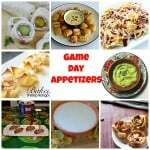 They were fresh and crunchy and were perfect with the dipping sauce. 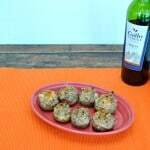 These are great as an appetizer or a side dish. 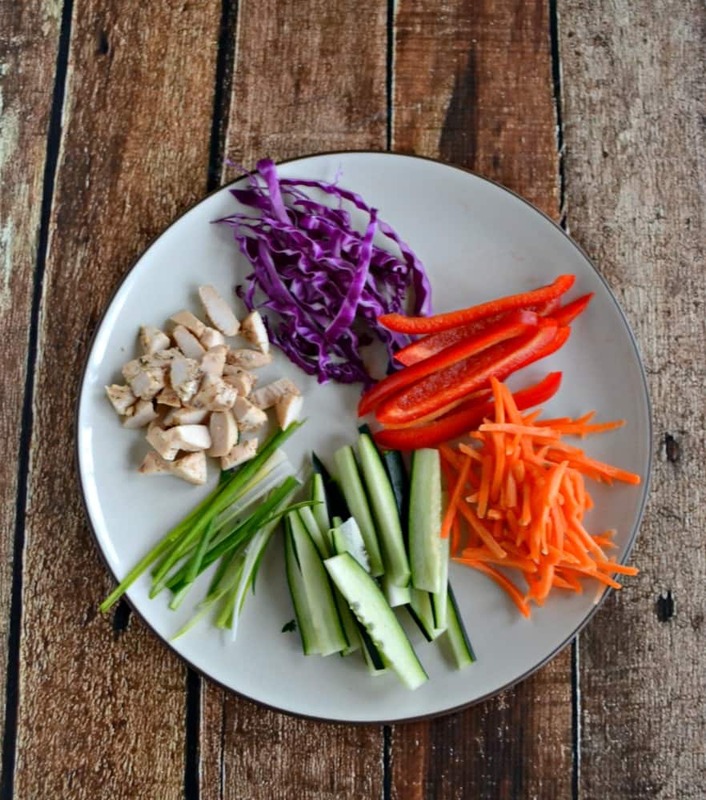 Enjoy a fresh roll filled with brightly colored vegetables and chicken served with a sweet and spicy dipping sauce. 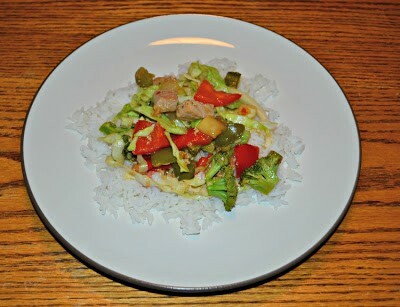 Place 2 strips of red pepper, 1 tablespoon of carrots, and 2 of cucumber in the center of the wrapper. Place 1 tablespoon of green onions, 2 tablespoons of red cabbage, and 2 tablespoons of chicken on top of the first row of vegetables. Fold the sides on top of the vegetables and chicken then roll up the vegetable roll. Repeat with the remaining 11 rolls. Set aside. 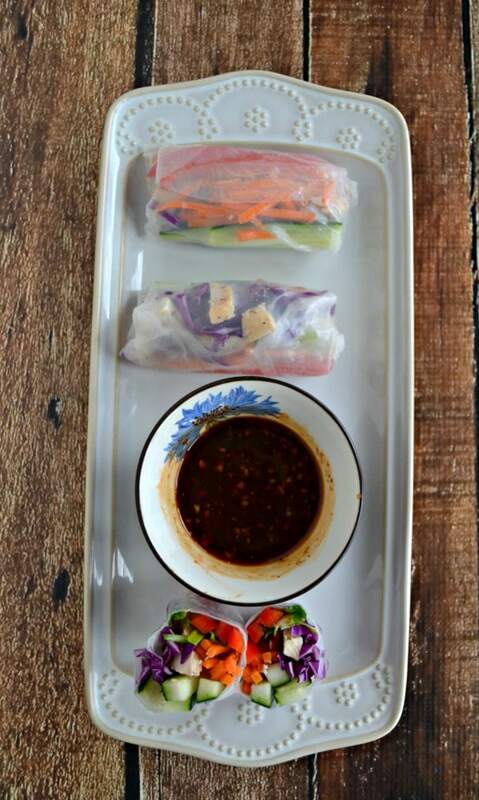 Serve the vegetable and chicken rolls with sauce for dipping.